The prestigious Charles Wollaston Award, one of the most significant art prizes in the country, has been won by Isaac Julien for his film Western Union: Small Boats, 2007. In this five-screen projection Julien brings together baroque pageantry, metaphor and ellipsis in a work that experiments with notions of cultural entanglement and the dissent between aesthetics and politics. The concluding instalment of his trilogy of film installations dealing with voyaging and cultural displacement on both a local and global scale, Western Union: Small Boats, 2007, refers to journeys made across the Mediterranean, from Africa to Europe, by Asians and Africans trying to enter Europe by sea without papers. It is, on one level, a reminder that, some ten years after the film was made, Lampedusa, Italy's southern-most island where parts of the film were shot, remains a front line of immigration and a locus for attendant stories of horror and humanity. However, in contrast to the documentary style of much art made about migration (and political art in general) – a genre that, according to Julien, conveniently helps us to keep important questions separate from life – the film's narrative entwines images relating to the circulation of human lives with fantasies of Europe, of otherness, as well as references to Italian cinema. Isaac Julien: “I dream a world” Looking for Langston continues at Victoria Miro until 29 July 2017. 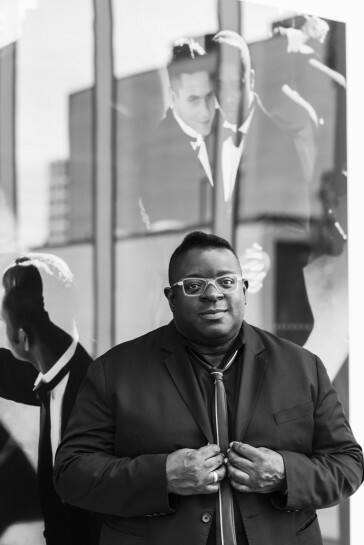 Isaac Julien, 2017. Photograph by Thierry Bal.